Old-fashioned dentures are a thing of the past. At Smile Store – The Dental Specialists, denture-wearing patients are relieved to discover they can replace their missing teeth with dental implants, regaining complete choice over foods and improving quality of life. There is no comparison between traditional dentures and dental implants, because unlike false teeth, dental implants literally become part of you, so they look, feel and function exactly like natural teeth. Here are the top 6 problems denture-wearers complain about. Your bite force with natural teeth is somewhere between 200 – 250 pounds of force. That is STRONG. Humans have naturally powerful jaws and teeth because we are omnivores, and need to have teeth that are set solidly into the jawbone to allow us to chew our varied diet efficiently. If you wear dentures, your bite force has gone down to less than 50 pounds of force. That is the difference between having a steak for your dinner….or a bowl of soup. We need strongly anchored chewing machines to enjoy a broad range of foods. However, dentures will never, ever be able to give you the strength you need. Once you lose a tooth, the bone in that area of the gum starts to recede. This means that the gum gets flatter. 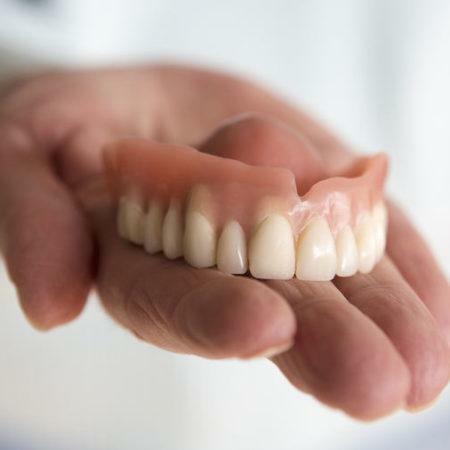 As dentures are made to try to fit your gums, they might feel okay at first, but they will get progressively looser as the bone continues to recede and the gums flatten out. Dentures merely sit inside the mouth. You can apply as much adhesive as you like, but they just ‘rest’ against the bony ridge of receded gums – there is no strong base anchoring them. Dentures on your upper palate use a suction plate to stay put. 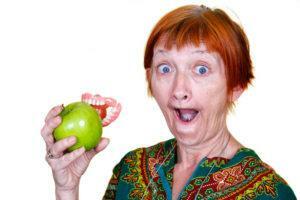 Dentures on your lower jaw….well; good luck keeping them in with gravity and willpower! Even extra layers of adhesive won’t work; and you’ll have to eat very slowly and carefully. Dentures kill your sense of taste. We have taste buds on the roof of the mouth as well as on the tongue. A full upper denture has an acrylic plate that covers all your palate across the roof of the mouth, covering up all the taste buds there. This isolates them from the tasting process entirely. The rest of the taste buds in the tip and edges of the tongue are now constantly in contact with the denture, tasting the denture plastic. Your brain learns to ignore the taste of the denture plastic over time, but your sense of taste will never be the same again. Dentures are a floating foreign object in your mouth, so they make you produce extra saliva, which can make you mumble or lisp as you try to contain the excess spit. The extra saliva also acts as a lubricant, which can causes dentures to slip, as well as causing a gargling type of speech. If you have dentures replacing your front teeth they will be in a different position than your original teeth, and so it takes some time to form words as your tongue has to get used to them. This can cause a whistling sound as you speak. Cheilosis (also called cheilitis), a painful inflammation most often seen in people with ill-fitting dentures. It’s caused by an overgrowth of yeast accumulating in the moist areas of the mouth. Stomatitis, another yeast-related infection. 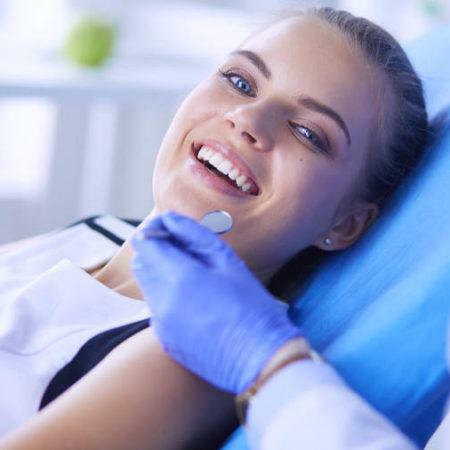 You may not know you have denture-induced stomatitis, because symptoms are not always obvious, but you may notice red bumps on the roof of your mouth or general mouth redness, especially under your upper dentures. 6: You Have To Take Them Out – Or They May Pop Out On Their Own! 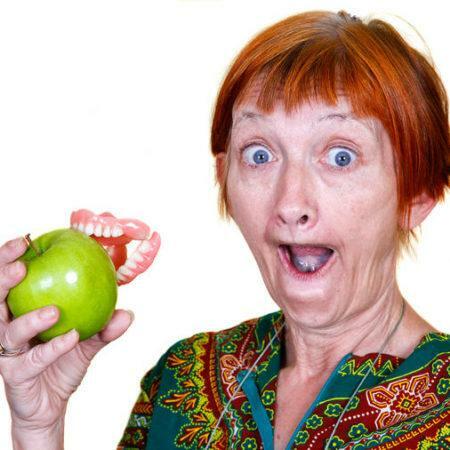 This is the most obvious problem with dentures; you just never know when they are going to slip out of your mouth. Anxiety about eating and speaking in public is something that consumes all denture-wearers, who live in fear of an embarrassing incident. As a result, denture wearers are apprehensive about keeping their dentures in and tend to stop themselves from smiling and laughing with confidence. Even the most functional of false teeth will always be a foreign body sitting in the mouth, so for a real change to your quality of life, dental implants are the answer. 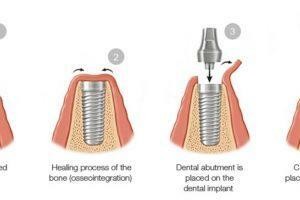 You can get a full set of prosthetic teeth supported by dental implants and get your life back. Don’t suffer in silence for one more day! 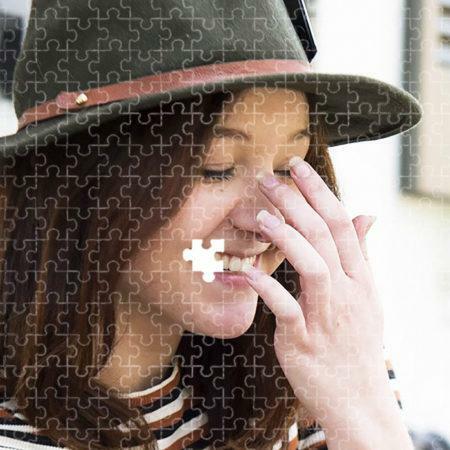 Call Smile Store – The Dental Specialists on 021 432 0004 and see how they can help you. 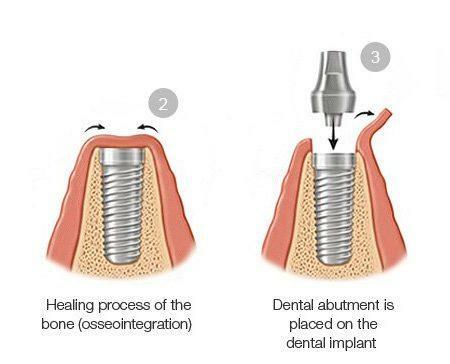 They have the most affordable implant prices; expert Oral Surgeon Specialist, and a friendly team who will design the best plan for you. See www.smilestore.ie for further information.